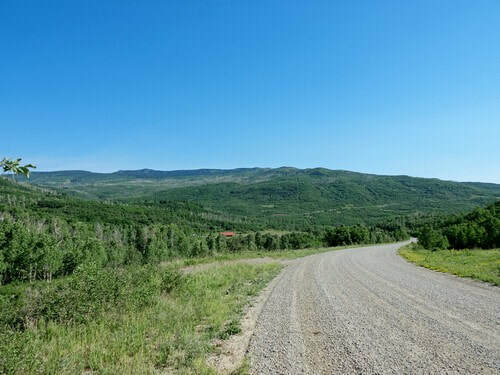 A scenic graded road over Grand Mesa between Paonia and Collbran. Easy enough to be done in a passenger car. 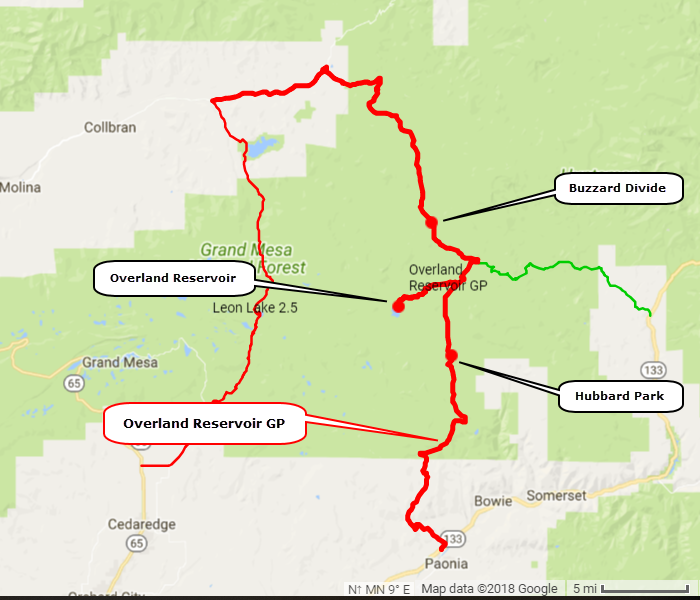 Overland Reservoir is owned by Overland Ditch and Reservoir Company, founded in 1903 as a mutual ditch company for the purposes of serving agricultural farmers primarily in the Redlands Mesa area of Delta County, Colorado. 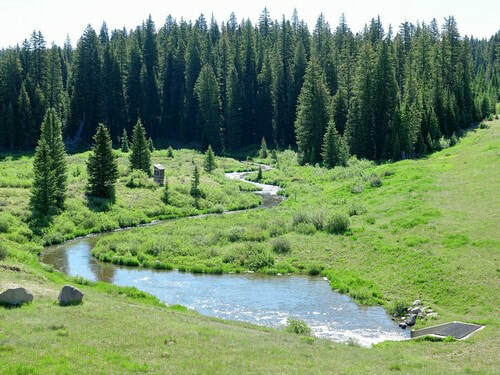 The ditch is 28 miles long and traverses very rugged and remote terrain beginning at Overland Reservoir and terminating on the Eastern Rim of Redlands Mesa in Delta County. 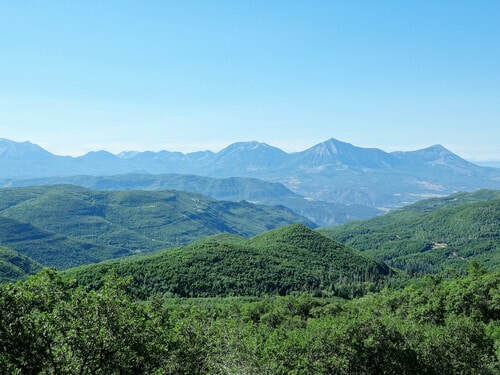 We ran the trail from Paonia to Collbran, so will describe it in that direction. 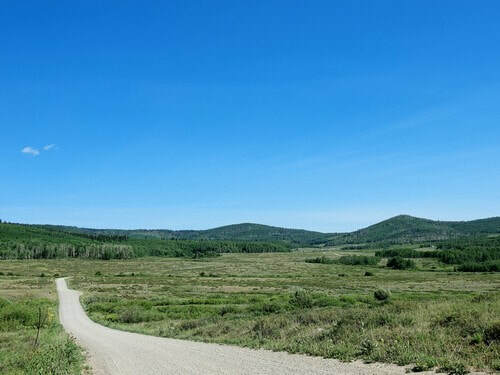 This entire run is a well graded road passable by any vehicle, as long as you don't mind dust. 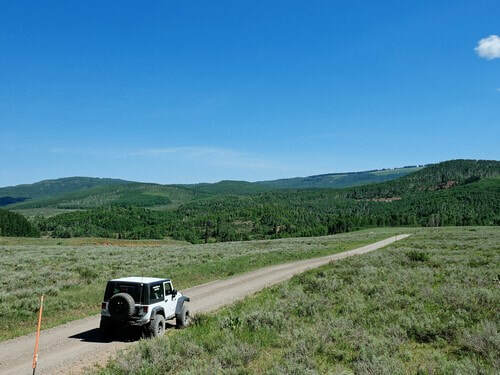 Distant mountains make for scenic views on the Paonia end. 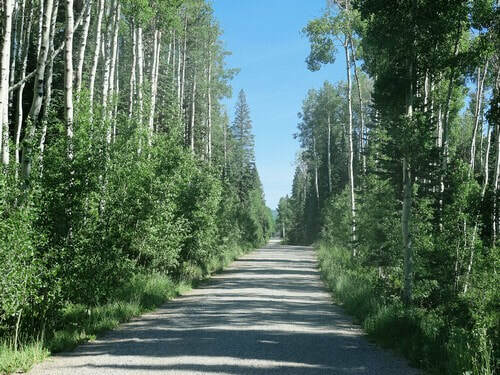 The Paonia end of this road is heavily forested with alternating stands of aspen and spruce. Hubbard Park is a large park home to Hubbard Creek Outfitters. 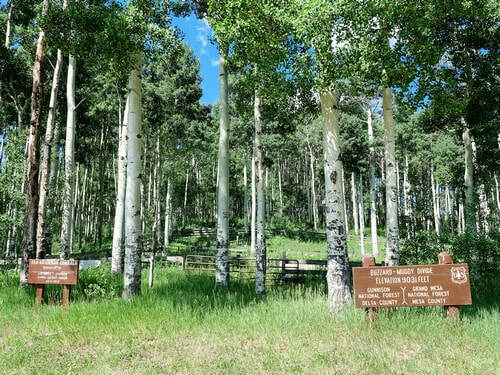 They offer bear, deer, elk and game bird hunting as well as numerous summer activities. 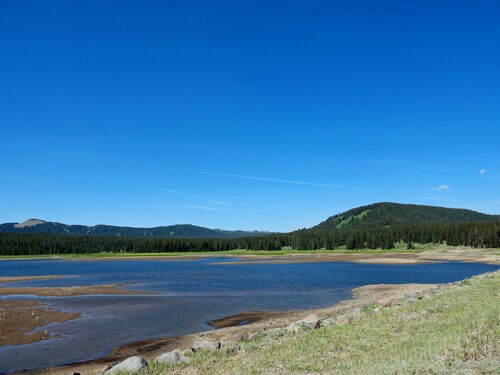 Overland Reservoir is a the end of a 4 mile spur west of the main road. This road is narrower, but equally well graded. 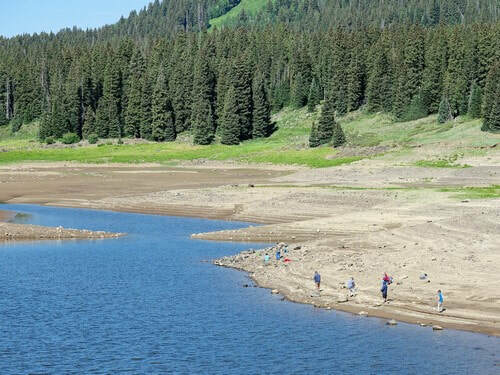 The water level was very low when we visited but people were fishing in the reservoir and in the ditch below the outlet. 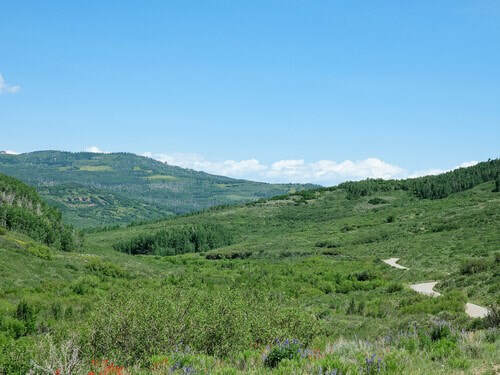 Views are much better north of the reservoir with many parks and open areas where you can see into the distance. Buzzard Divide is on the Escalante-Dominguez Expedition route of 1776, a Spanish journey of exploration conducted in 1776 by two Franciscan priests, Atanasio Domínguez and Silvestre Vélez de Escalante, to find an overland route from Santa Fe, New Mexico to their Roman Catholic mission in Monterey, on the coast of northern California. 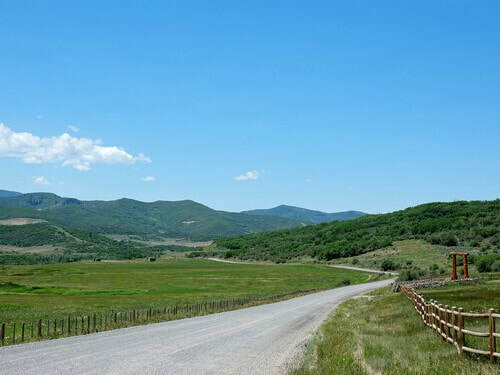 The road north of the divide follows down Buzzard Creek on its way to Collbran. The last few miles are through ranchland and oilfields.